Which layer are you looking for? High-tech equipment inspired by the Himalayas, made for the Himalayas - and so much more. BLACKYAK’s mission is to kit out mountaineers, ski tourers and skiers with the best possible clothing for their mid- to high-alpine adventures. 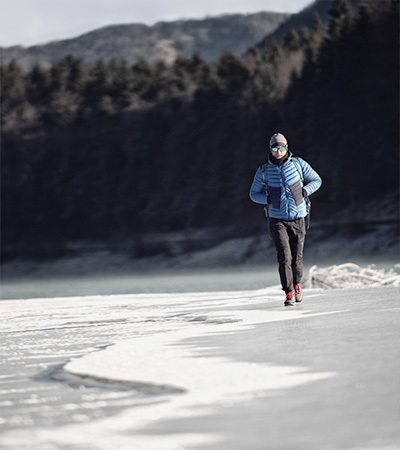 This is why extreme mountaineers put the brand’s collections through their paces during extensive tests. The materials and technologies are being constantly improved, as are the styles. 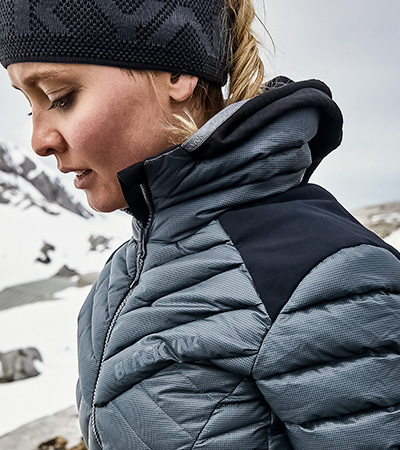 Clean designs make BLACKYAK’s jackets, pants and vests just as suited to endurance training in the city as they are to a gentle hike in the mountains. 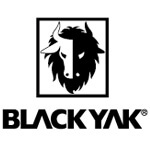 BLACKYAK outdoor products for mountain adventures. 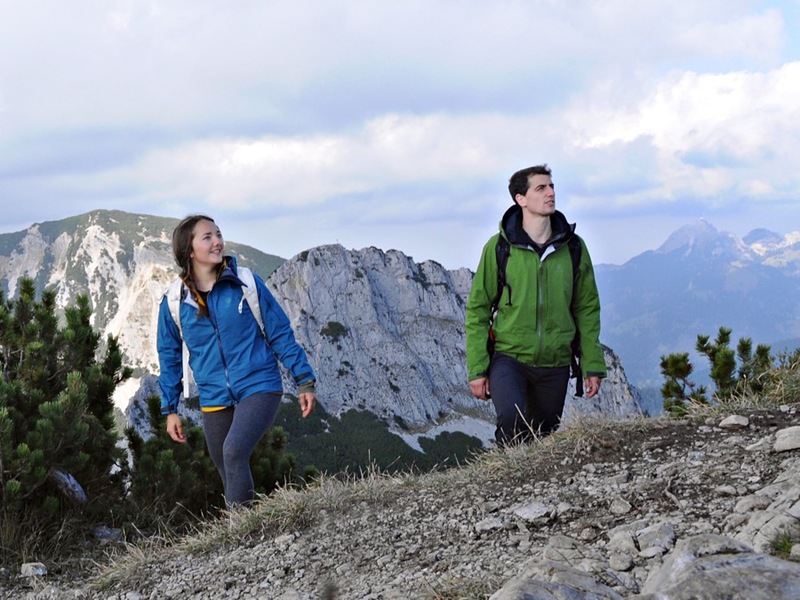 With BLACKYAK outdoor clothes, you're well prepared for the next summit. Experience maximum protection in extreme conditions. 3,000, 4,000, 5,000 metres up? Where we could see clear, blue sky above the summits, suddenly thick cloud cover looms. The wind is picking up. Snow is falling. Just a few scattered snowflakes at first, and then blankets of it. The cold pierces the skin like a needle. But this all goes unnoticed by the yak, a Himalayan ox. It looks out into the distance, defying the elements with its thick fur and trudging equipment and supplies up the mountain. Wind? Snow? Cold? The yak is prepared for all that, and in 1973, it served as Tae Sun Kang's inspiration to found the brand BLACKYAK. At the same time, he also opened the Dongjin Mountain store in the Garment District of Seoul. Kang's wish was to offer mountain climbers "everything they need in order to achieve their mountaineering goals". Sun Kang wanted to create equipment that would perform just as well in a Himalayan expedition as it would during mountaineering, ski touring and skiing trips in the Alps - and that's exactly what he did. After sponsoring the Korean expedition up Nanga Parbat, the "King of Mountains", in 1980, BLACKYAK went on to receive its GORE-TEX licence in 1994 - a mark of quality directly from the champion among outdoor materials. And well deserved too. The brand's goal of wanting to create something unique with innovative materials is intriguing. Its urge to stay connected to nature and to learn restraint and tolerance from her is impressive. Add style and a clean yet casual look and the path to the summit lays at your feet. In 2016, BLACKYAK finally took a long-overdue step and launched its own collection in Europe. 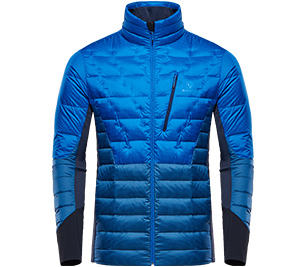 Breathable, lightweight, stretchy fabrics, weatherproof membranes, jackets, pants, Cordura fabrics, PrimaLoft and GORE-TEX were all part of the mix. 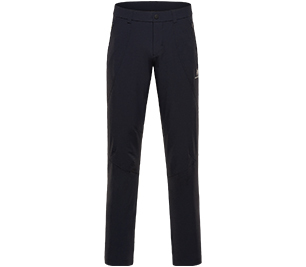 You'll be amazed at how well BLACKYAK works high-tech materials into stylish, casual pieces. 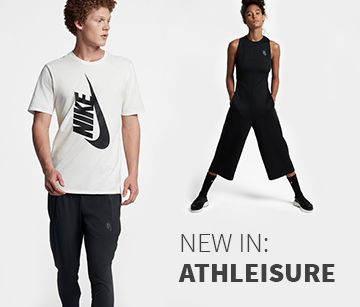 Looking for athleisure? You've found it. Fairness: After the earthquake in Tibet, BLACKYAK donated both money and equipment to the cause. It also offered long-term help to the victims. Awards: In 2016 and 2017, BLACKYAK's collections won a total of 16 ISPO awards, ten of them Gold. Professional input: Before BLACKYAK products go on sale, the brand's new pieces are tested by athletes going on expeditions in high-alpine terrain under the most extreme conditions. Materials can only be so innovative, design can only be so stylish. If a garment's construction is lacking in any way, the mountains can quickly turn from fun to nightmare. This is why BLACKYAK never leaves quality to chance. The South Korean brand's collections are manufactured in the home of high-tech premium sportswear. 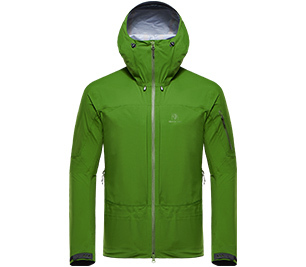 When you buy BLACKYAK products, your new outdoor gear will have been made in the KTC high-tech factory in China. Top quality. Top standards - for the employees too, as KTC is a proud member of the Fair Labor Association. But that's not enough. Before mass production, the products must go through a rigorous testing phase. Prototypes are developed by DNS (Development Never Stops), the Swiss innovations bureau, and are tested in the company's own machine park. Ready for the market? Not quite. Now it's time for real-life testing. 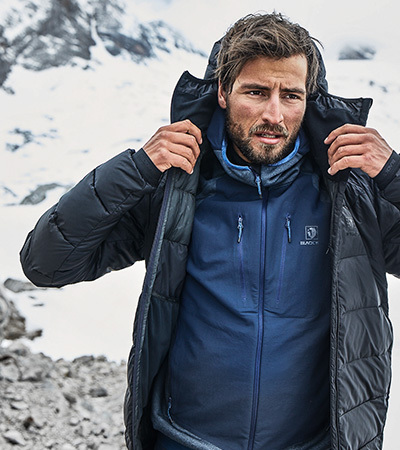 Before actually selling their products to the public, BLACKYAK gets its athletes, like extreme mountaineer Jost Kobusch and Adam Bielecki, to try out the brand's new jackets, pants and insulating vests during their expeditions. Sometimes they tackle an eight-thousander and sometimes they "just" go for 4, 5 or 6,000 metre-high summits. It doesn't really matter where as long as the conditions are extreme - with wind, rain and snow. Does everything stay dry? How to the new garments adapt to movement? Do you have to keep readjusting your clothes? BLACKYAK leaves nothing to chance, so you can rest assured that your new jacket really will be perfect for your next skiing or hiking trip. The choice is yours: on the one hand, the Pali line was developed to withstand extreme mountain weather, on the other hand, the Sibu line concentrates on light, innovative, non-bulky materials. It goes without saying that both collections will protect you from the wind, the rain and the cold - you'll be as hardy as a yak. Posts and sports products for a healthy, sporty lifestyle. Your order will be shipped by UPS. The standard shipping cost within the UK is £3.95. Welcome to Keller Sports! We wish you lots of fun shopping. Yes, I would like to receive regular e-mail updates on exclusive deals and pre-sales and earn a £10 voucher for my next purchase. The code is active for 4 weeks. Minimum order value of £100 (excluding shipping charges). The voucher is only valid once per customer. No cash alternative. The code can not be combined with other promotions and can not be applied to orders already made. If you have any queries, please contact our customer service team on 01450 825044, [email protected] or directly via Chat. If you want to continue your membership after the 6 months are up, you don't need to do anything: the membership automatically extends for another 12 months, charged at £7.99 per year. Should you not wish to extend your membership, all you need to do is cancel it in "My Account" at least 14 days before the 6 months are up. This will result in the Premium membership ending and not being automatically extended after the first 6 months. Members offered a reduced membership fee will be charged the standard £7.99 fee upon renewal. You will receive regular exclusive Premium offers and information by e-mail. By registering you confirm that you accept the general Terms and conditions. This is an offer by: Keller Sports GmbH - Balanstraße 73 H.24 - 81541 München - Germany. If you want to continue your Premium membership after the 12 months are up, you don't need to do anything: the membership automatically extends for another 12 months. Should you not wish to extend your membership, all you need to do is cancel it in "My Account" at least 14 days before the 12 months are up. After the first 12 months you can also end you membership in the same way and at any time. Members offered a reduced membership fee, or with an initial membership of 6 months, will be charged the standard £7.99 fee upon renewal. You will receive regular exclusive Premium offers and information by e-mail. By registering you confirm that you accept the general Terms and conditions. This is an offer by: Keller Sports GmbH - Balanstraße 73 H.24 - 81541 München - Germany.